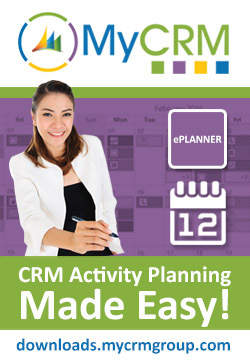 MyCRM Blog | Why planning tools in CRM, help increase system and user productivity. ← Are you still running an older version of Microsoft CRM? It has been just over 12 months since we released our ePlanner solution for Microsoft Dynamics CRM and Dynamics 365 and about 14 months since we have been using the initial release internally. As a CRM managed service provider we work with customers to get the best out of the software investment, CRM is a key component to business success and customer management but has to be implemented to meet you own business expectation and the requirements or needs of your customer. Gaining customer loyalty is progressively harder and harder to achieve as demand for excellence grows, customers become savvier and choice and online service expand daily. So is it harder to be in business in 2017 compared to previous years, the answer is no, but keeping up and understanding what your competition are doing is now a fulltime job and making sure you have a social profile that is up to date is now critical to success. You will not be surprised to learn that a modern day CRM system is not just about recording data on your customers, it’s about keeping track of how you and your team interact with customers, it’s about how you effectively manage time across all activities to maximise profitability for the business. With this in mind the Team at MyCRM release productivity enhancement tool that is not just a planner for user’s day to day activity. The solution is a planner for related views of CRM entities that have related activities, so now you can plan your project or opportunities on a planner view and include standard and custom activity types. Our ePlanner solution seamlessly integrates will all version of Dynamics CRM from version 2013 including the latest edition of Dynamics 365. You can display all activity types which includes custom activity types along with displaying views from related activity entities.